Adolescence is all about new experiences and experimentation. It is a cruel law of nature that tempts teens to try all sorts of new things, just at a time in their lives when their brain is engaging in a major growth spurt. Teens live in a world where what you see is what you get. With alcohol, you see the fruits of your labor literally in the toilet bowl if you're lucky, otherwise in someone's car or basement. You worship the porcelain temple and then you pass out. With pot, the effects are less obvious and more hidden. Pot gives you the illusion of feeling in control. Because their growing teenage brain is an “out of sight, out of mind” issue, smoking pot seems to them like a “no-brainer.” As with all experimentation, some kids might try pot and see it as a treat every now and then, and others will begin to use it more regularly. A recent article in the Spring Issue of Life with Teens magazine, published by TeenLife, discusses how relaxed marijuana laws may lead to increased use and presents some rather alarming facts about marijuana use in teens. According to the Monitoring the Future Study, one in 15 high school seniors is a daily or new-daily user of pot. And more alarming, pot use can start very young. About 13 percent of 8th graders have tried it in the past 12 months. Teach them the science of how pot affects their growing brain. There are receptors in the brain that just love THC, the chemical in pot. These receptors are connected to two very important parts of the brain. The Hippocampus, which is responsible for memory and learning, and the Cerebellum that controls balance and coordination. In short, regular use of pot can cause problems with thinking and problem solving (the hippocampus) and distorted perception of sight, sound and loss of motor coordination (the cerebellum). So much for the driving rationale. Responding to lights, sound and reaction time are all distorted. Does your teen suffer from anxiety? Pot is especially attractive to teens because it relaxes them and mellows out their stress. If they are someone who struggles with anxiety, pot can be a wonderful new best friend. There is nothing more uncomfortable than feeling anxious. Once a teen that suffers with anxiety tries pot, a love affair begins. Instead help your teen develop coping mechanisms for anxiety; meditation tapes, therapy, or party strategies and scripts for situations that make him/her uneasy. Be clear with your teen about your limits and consequences. Let your teen know that if you find evidence or strongly suspect pot use, they cannot get their license and/or use the family car until you feel convinced that they are not smoking pot. Pay attention to changes in grades; sleep habits, and avoidance of being with the family. Talking with your teen that you already suspect is using pot is not easy. Expect them to be resistant, defensive, and in a lot of denial about this. Try really hard not to get mad. This will not serve you well in helping them to understand why this worries you so much. Information is power! 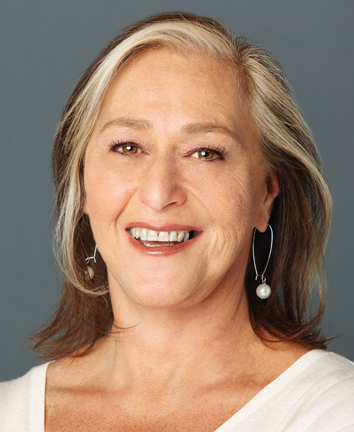 Joani Geltman, MSW is a leading parenting expert, with four decades of experience in working with youth, including as a psychology professor, school counselor and social worker, a family therapist, and a parenting coach. She is the author of A Survival Guide to Parenting Teens: Talking to Your Kids about Sexting, Drinking, Drugs, and Other Things That Freak You Out. She holds a Masters in social work from Washington University and has been quoted or published in Psychology Today and more.